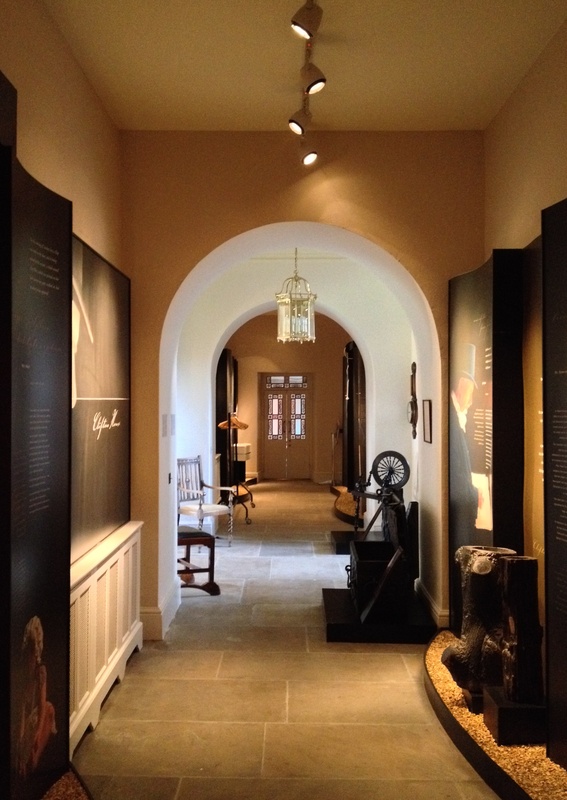 The involvement of Irish families in the Caribbean slave trade was discussed here some weeks ago when considering Monasterboice House, County Louth (see Dirty Money, March 11th 2019). The same source of revenue appears to have played a part in funding extensive work in the early 19th century at Kilwaughter Castle, County Antrim. The original house here is believed to date from 1622, a fortified dwelling built by Sir Patrick Agnew who around that time had purchased the land on which it stands from Sir Randall MacDonnell, first Earl of Antrim. Successive generations lived here until William Agnew died in 1776, leaving the property to his grandson Edward Jones, then still a boy, with the proviso that the latter take the surname Agnew. He was a younger son of Valentine Jones, who was extensively involved in slave trading in the West Indies, as was his eldest son (another Valentine) who lived in the Caribbean for some 33 years and, two years before Edward inherited Kilwaughter, was elected a member of the House of Assembly in Barbados. Unfortunately the next generation of Valentine Jones disgraced the family by misappropriating funds and colouring rum to give it the appearance of age: in 1809 he was found guilty of fraud and peculation, and sentenced to three years in Newgate Prison. Edward Jones Agnew was only a child when he inherited Kilwaughter, and for the next 12 years the estate was administered by agents while he attended Harrow and then Trinity College Dublin. It was only in the late 1780s that he came to County Antrim and took responsibility for Kilwaughter, accompanied by his younger sister Margaret. Seemingly they arrived to find the house almost entirely stripped of its contents: ‘there was not so much as a tablecloth, or a spoon or a knife or fork for them to take their dinner with.’ By this date the old building was neglected, and out-of-date, so its young proprietor decided to embark on a an extensive programme of refurbishment and enlargement. 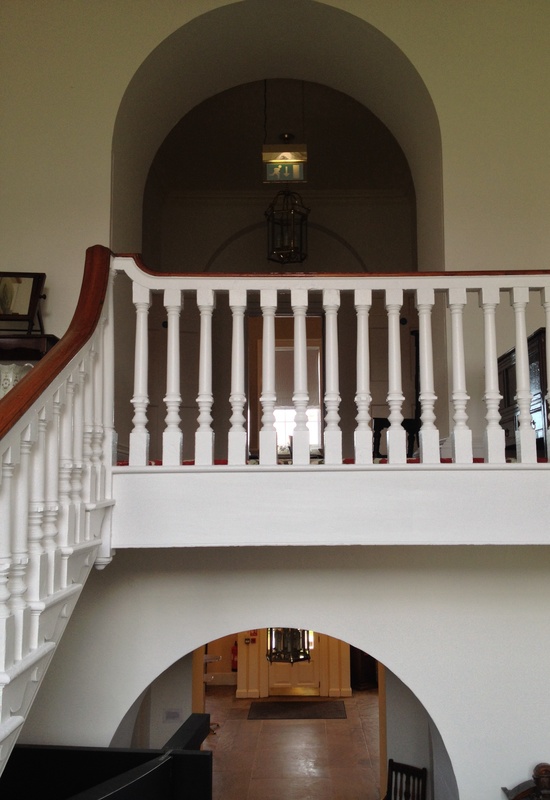 The architect chosen for this task was John Nash, who from 1801 onwards was engaged in designing Killymoon Castle, County Antrim for the Stewart family, cousins of the Agnews. Beginning in 1806, Nash transformed Kilwaugher into an elaborate castle, adding a vast wing to the immediate east of the original fortified house. The focal point of his design is a castellated tower in the south-east corner, its sandstone window sills carved with elaborate abstract decorations. From here, a range of reception rooms ran northwards to a narrower but taller polygonal tower, with views over the parkland towards a newly created lake covering more than five acres. 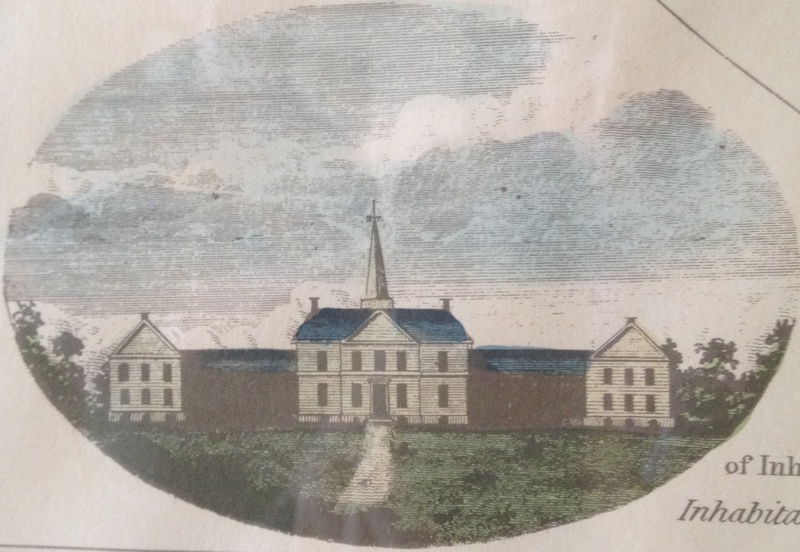 While his land holdings were substantial and could have borne much of the expense involved (Killymoon Castle is supposed to have cost £80,000), might Edward Jones Agnew have benefitted from the estate of his slave-trading father Valentine Jones who died in 1805, just a year before work began at Kilwaughter? The enquiry seems not unreasonable to make. The later history of Kilwaughter is not especially happy. Edward Jones Agnew never married (nor did his sister Margaret with whom he lived) but had several children with the daughter of a tenant farmer: she and other members of her family were later sent to Baltimore, Maryland with the promise of an annual stipend. When Agnew died in 1834, the estate was inherited by his illegitimate son William who, together with his sister, were then cared for by their aunt Margaret. However, following her death and William Agnew becoming an adult, he moved to Paris and spent most of the next 40 years there, dying unmarried in 1891 and, it seems, leaving sundry debts for the payment of which a mortgage of £30,000 had to be raised. A niece, Mary Maria Augusta Simon (daughter of his sister) next inherited the estate but by this time she was married to an Italian count Ugo Balzani, and living between his family home near Bologna and Oxford. For some thirty years Kilwaughter was rented to John Galt Smith, an Irish linen exporter and distant relative of the Agnews, and his socially ambitious American wife Bessie who modernised the building and entertained extensively; he died in 1899 but she remained there until 1922 before returning to her native country. By now, the castle was surrounded by very little land and when the Second World War broke out it was seized by the government as ‘alien’ property (the Balzani family being Italian and therefore deemed to be enemies of the state). 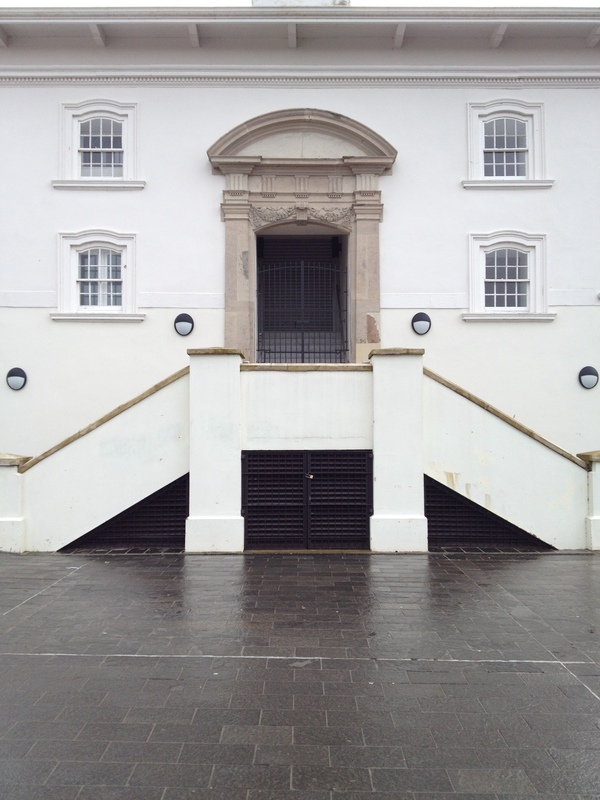 For a period it was occupied by American troops but then stood empty before being sold by the Northern Irish government to a Belfast scrap metal company which stripped off the lead, thereby leading to the roof giving way. What remained was handed back to the Balzani family, and understandably they decided to sell the property: this finally occurred in 1982. Since then efforts have been made to ensure the security of the building, and ideally its restoration: some of the walls are literally in need of support. The present owners, and a number of local people are valiantly battling to save Kilwaughter from total ruin (a task not helped by the presence of lime quarries in the immediate vicinity). As these photographs make plain, those involved in the project face a substantial challenge and deserve all possible assistance. Much of the information here came from a most interesting article, The Agnews of Kilwaughter by Jacqueline Haugseng-Agnew in Familia: Ulster Genealogical Review, No.32, 2016. The garden front of Garron Tower, County Antrim. Built at a cost of £4,000 over several years from 1848 onwards, the house sits on a plateau high above the sea and with views, on a clear day, across to Scotland. Intended as a summer residence, Garron Tower’s architect is thought to have been Lewis Vulliamy, his client being Frances Anne, Marchioness of Londonderry who had inherited land here from her mother, the second Countess of Antrim. 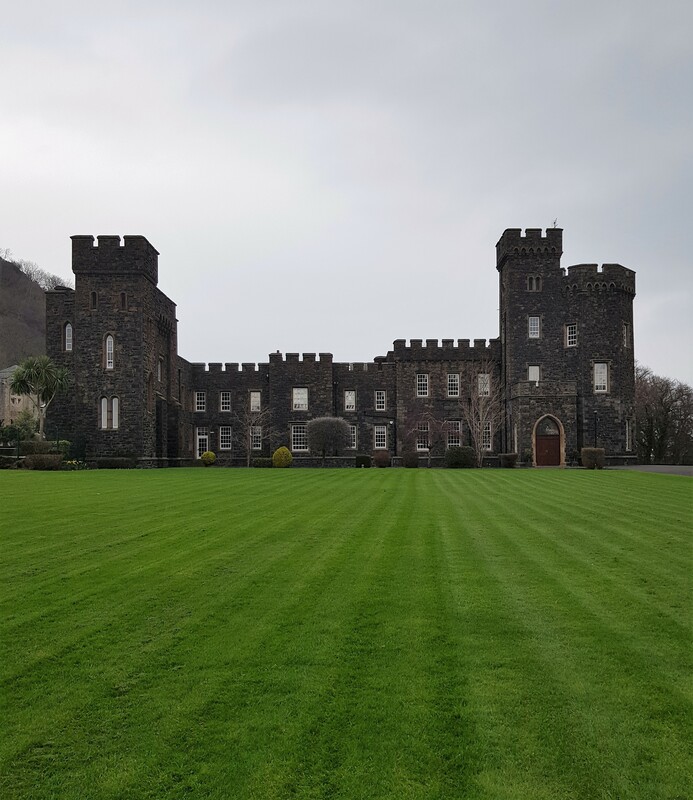 It has been suggested that her intention was to own a property superior to Glenarm Castle, inherited by her aunt, which stands a few miles further south. Garron Tower’s austere exterior is not aided by the use of black basalt, but the original interiors were said to be luxurious. The property was little used after Lady Londonderry’s death and by the end of the 19th century was rented for use as a hotel. It was badly damaged by fire in 1914, the house was converted into a school in 1950 and now exudes a grimly institutional air. The Massereene Hound, a carving believed to date from 1612. According to legend, not long after her marriage in 1607 to Sir Hugh Clotworthy of Antrim Castle, Mary Langford was walking alone in the woods when threatened by attack from a wolf. Fortunately at the same moment an Irish wolfhound appeared and saved Lady Clotworthy by killing the wolf. A second tale has it that the self-same wolfhound also ensured the Clotworthys were spared an assault on their castle by howling and thereby warning them of the imminent danger. Whatever the truth, the sculpture stood on the original castle until the 18th century when it was moved to one of the estate walls. It now stands on a plinth adjacent to the restored walled gardens. A date stone beneath one of the windows on the façade of the Old Rectory at Glenarm, County Antrim. It carries the year 1838 but the house is believed to be much older than this, a section to the rear likely having been built in the 17th century by a settler in the area, so perhaps the house was originally occupied by a tenant farmer before becoming a residence for the local Church of Ireland clergyman. Another date stone over the main entrance is inscribed with the year 1858, indicating further work was carried out then. The same stone reports the house was restored in 1990 by its present owner, the artist Hector McDonnell. In June 1743 Mary Pendarves (née Granville) married as her second husband the Anglican clergyman Dr Patrick Delany who a year later was made Dean of Down. 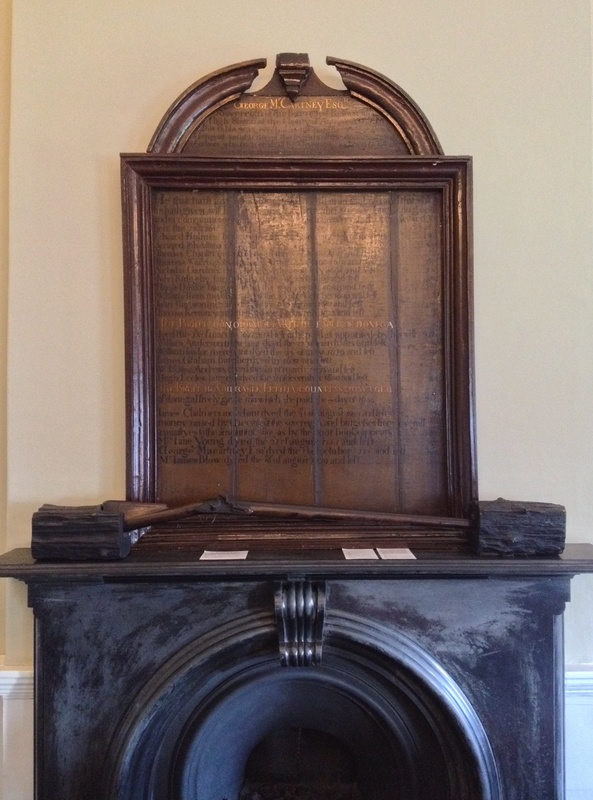 As a result, although the couple’s main residence was at Delville on the outskirts of Dublin, they often spent time in the Dean’s diocese there occupying a house not far from Downpatrick with the distinctive name of Mount Panther. Much embellished after its acquisition by the future first Earl Annesley in 1770, for two centuries Mount Panther was judged one of the finest properties in County Down with especially fine plasterwork in the ballroom and drawing rooms. It survived until the 1960s but is now a ruin. 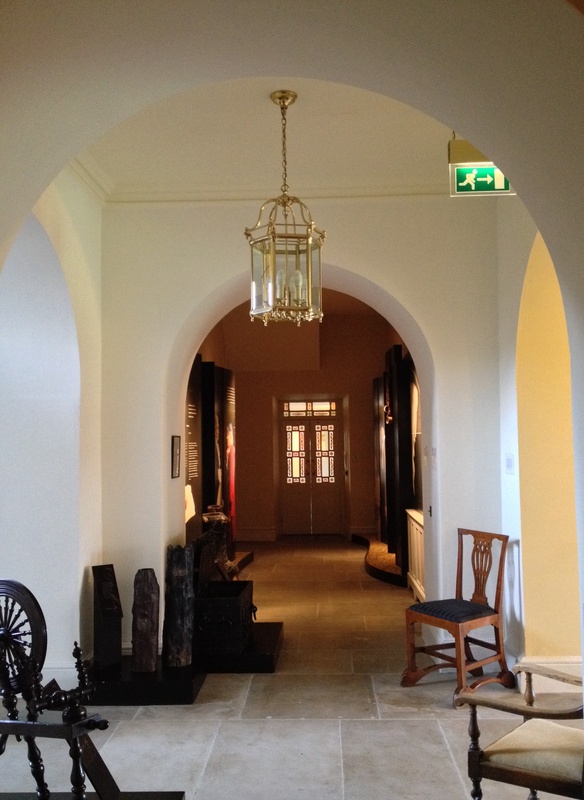 However, a few souvenirs of Mount Panther have been incorporated into a house in neighbouring County Antrim including these curved doorcases and doors which were a feature of the staircase hall. Also rescued from Mount Panther were the neo-classical plasterwork wall decorations which incorporate a variety of motifs including the head of a big cat, although it looks more like that of a lion than a panther. The canal at Antrim Castle, County Antrim is laid out in two sections, the original (seen above, on the cusp of yet another recent storm) believed to date from either the late 17th or early 18th century: if the former, then it was the work of John Skeffington, second Viscount Massereene (died 1695), if the latter his son, Clotworthy Skeffington, the third Viscount. Approached by a yew walk, it is thirty feet wide and runs to 660 feet, a rare surviving example of the formal French-style gardens then in vogue. In the 19th century John Foster-Skeffington, tenth Viscount Massereene added an upper canal (below) the two lengths separated by a short cascade. A survey of Antrim conducted by James Boyle in the 1830s describes the water as being edged by a lime hedge of eighteen feet. Although the castle was gutted by fire in 1922 and later demolished, the gardens were restored some years ago by the local authority and are now a public park. and rioters. 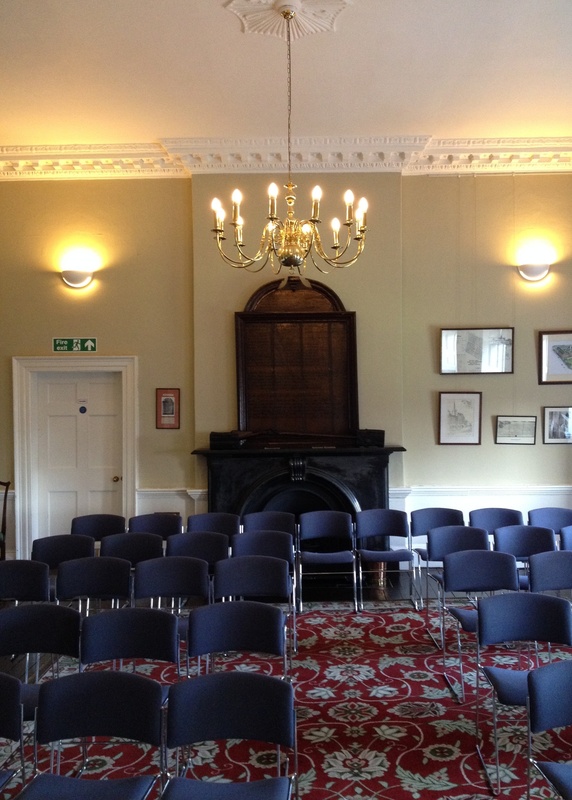 The building continued to serve as a courthouse until 1994 since when it has been extensively restored by the local authority. Commendable work, although one must regret the installation of such commonplace light fittings and metal grills. In the 18th century Belfast was a small but growing market town and port: as late as 1801 its population stood at just 19,000. 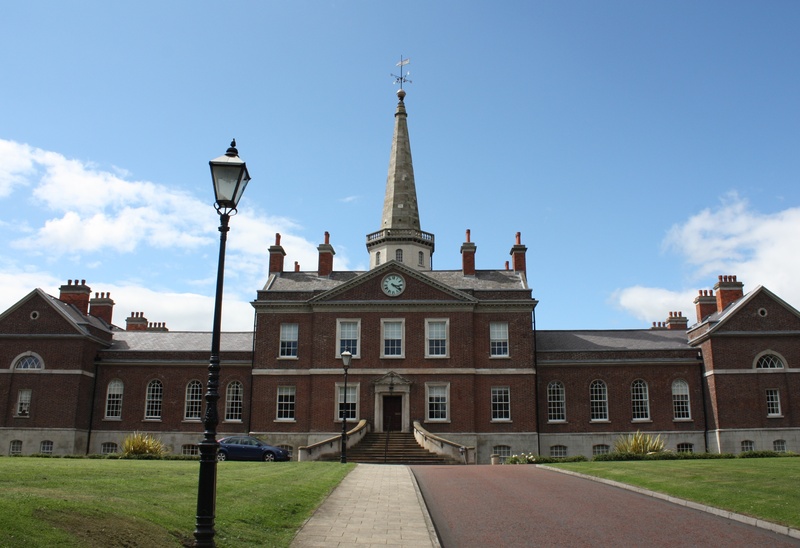 Nevertheless, the town’s spirit of enquiry and liberalism can be seen through several developments during this period, such as the publication of what is now the world’s oldest surviving English language daily newspaper, the Belfast News Letter, (started 1737), the creation of the Belfast Academy (now Belfast Royal Academy) in 1785 and the setting up of a library (later to become the Linenhall Library and still extant) three years later. Of interest here today are the origins of another organisation which continues to the present day, the Belfast Charitable Society. 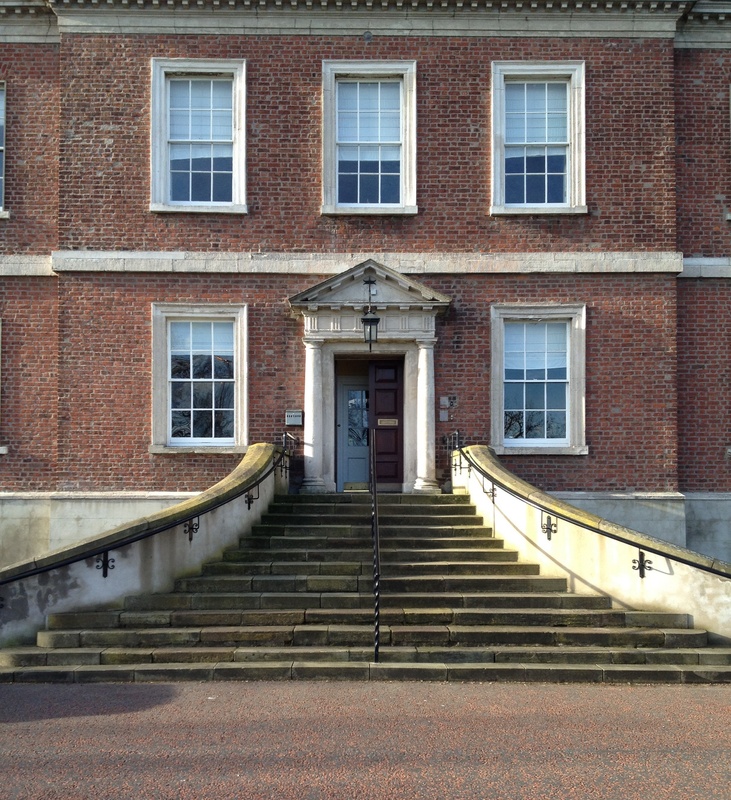 A site of eight acres for the project was granted by Arthur Chichester, fifth Earl (and later first Marquess) of Donegall, whose family had long owned most of the land on which Belfast developed. The funds required to build the Poor House, at an estimated cost of ₤7,000, were raised through private donations and also by running a lottery based on the model of that already existing in Dublin. Work started promptly and in December 1774 the new premises were officially opened by Lord Donegall with the following accommodation: seven beds for the sick, four double beds for the beggars, twenty-two double beds for the poor and four single beds for vagrants. The building’s design has an interesting history. Both the Scottish-born architect Robert Mylne and his former draughtsman and clerk Thomas Cooley submitted proposals, but eventually the person responsible was a local amateur, Robert Joy (1722-1785). He and his brother Henry were co-proprietors of the aforementioned Belfast News Letter, which had been founded by their father Francis Joy; they were also uncles of the United Irishman, Henry Joy McCracken. The siblings were among the key figures behind the Poor House’s foundation and hence it is understandable that Robert Joy should have been permitted to have the final say in its design. However, extant drawings by Mylne indicate that his work provided a basis for the eventual structure. Corridors off a passage behind the entrance hall, for example, retain walled-up Tuscan columns, part of what was once an open-air colonnade, a feature of Mylne’s scheme. On the other hand, Joy replaced the dome and lantern proposed by Mylne with an octagonal stone tower and spire rising behind the brick facade the appearance of which mimics that of a Palladian country house. Despite the spire, the church which was originally intended to be part of the scheme was never built. During its first decades of operation, the Poor House looked after inmates well, not least by providing them with all necessary clothing and food. With regard to the latter, daily meals included bread, cheese, milk, broth, rice and porridge. Beef and veal were added to the diet on Sundays. On Sundays, the meal included beef and veal, this at a time when around a third of the country’s population lived on potatoes and buttermilk. Local physicians attended the sick in the Poor House, their services provided without charge, and there was also a dispensary where the same doctors would see the unwell from outside the house on Tuesdays and Saturdays. In 1794 the Belfast Charitable Society opened Ireland’s first Fever Hospital in a rented building on Factory Row (now Berry Street) and soon afterwards, as a means of raising funds, it started a cemetery in the city. Other methods of generating income included taking responsibility for Belfast’s water supply, which it did from 1795 to 1840, and then charging households for access to fresh water. By the time the society gave up this role (in return for financial compensation), much else had changed, not least new Poor Laws and a more active role by the state in the provision of assistance to those citizens unable to support themselves. However, the Poor House remained true to its original purpose and indeed expanded premises during the course of the 19th century. In 1821 and 1825 respectively extensions were made behind each of the end wings and then in 1867 a block was built at right angles to these; five years later it was linked to the rest of the property by further additions thereby creating a quadrangle as had originally been envisaged by Robert Mylne. After the Belfast Charitable Society celebrated its 250th anniversary in 2002, a decision was taken to build a new nursing home elsewhere in the city. 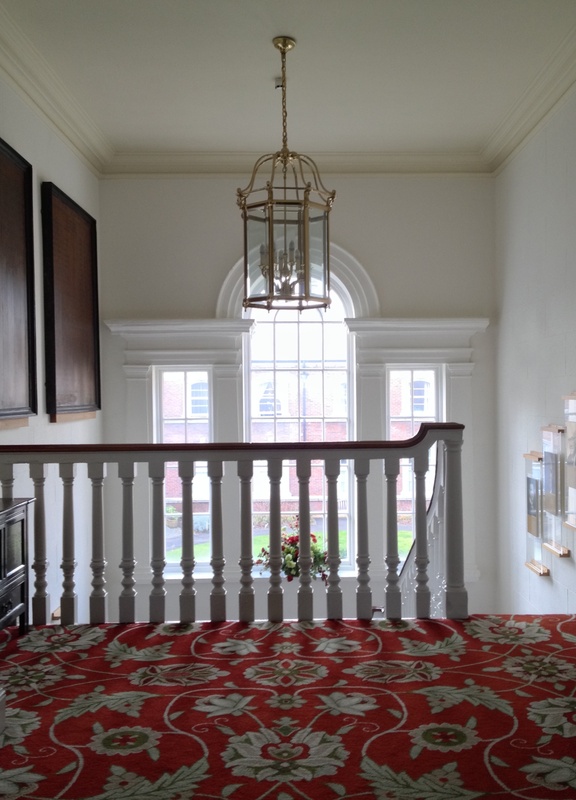 The old property was handed over on a seventy-year lease to another charity, Helm Housing Association, the funds thus generated allowing for a programme of necessary renovation. Since then the building has been shared between the two organisations, offering sheltered accommodation and operating as an old persons’ home. 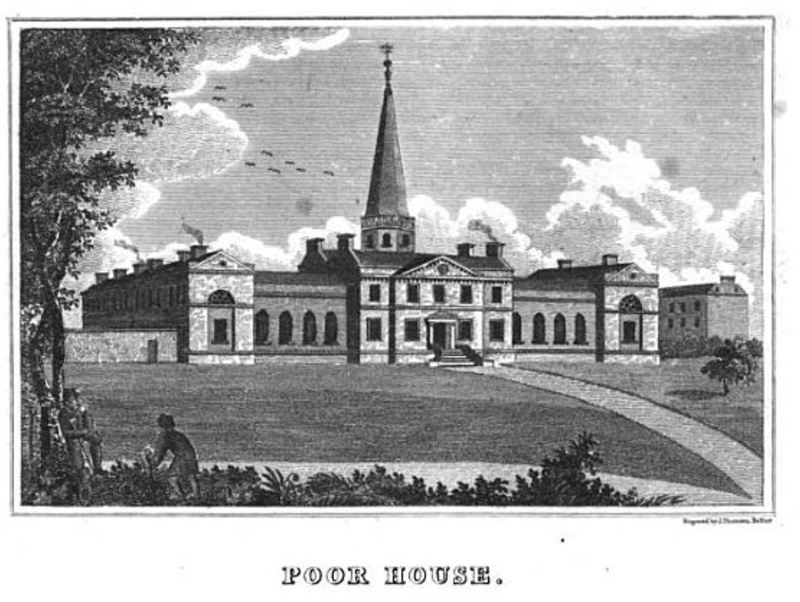 This year marks the 240th anniversary of the opening of Belfast’s Poor House (now called Clifton House), the oldest complete surviving building in the city, a wonderful example of 18th century philanthropy, a landmark structure and yet somehow little known even by the local population.